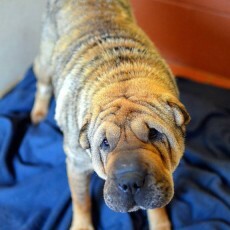 Olive is one of 15 Shar-pei that recently came into NASPR's care after living alone on a piece of land in horrible living conditions. The dogs were in desperate need of veterinary care for severe flea and tick infestation, wounds and infection. Several were wandering blind on the property in desperate need of entropion surgery. Several also tested positive for heart worms. 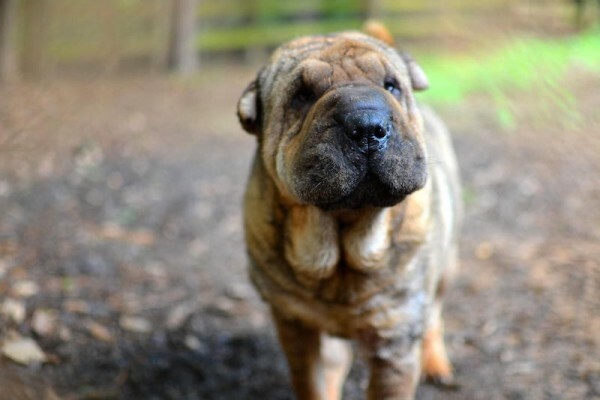 Olive was blind from years of untreated entropion and infected eyes. She was also heartworm positive. 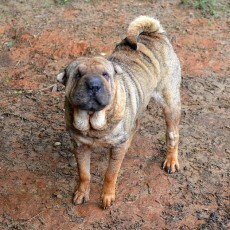 Olive has since had entropion surgery and has also completed her heartworm treatment. A blood panel was run prior to heartworm treatment and we were so thrilled that her overall health was good and she could undergo treatment. She is really blossoming after getting the veterinary care she desperately needed. She is such a beautiful girl but will need a home that will allow her to learn to trust. She is very curious about people and has shown no aggression, but is very standoffish. She was running loose on the property and I'm not sure how long it had been since she has experienced a loving touch. 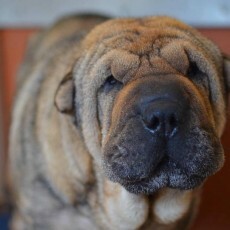 Olive is currently in boarding and donations are needed for her care. 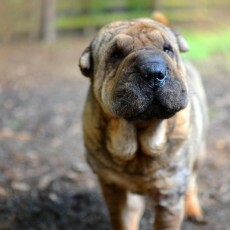 We would love to find a foster or better yet forever home for Olive soon. Please consider giving her the home she has always deserved.